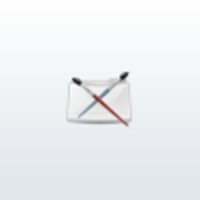 A quick solution for renaming and search&replacing of outliner object names. 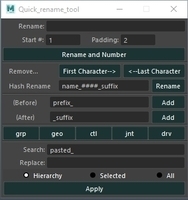 A compact renaming tool for Maya. Automatize rigging a bit. Orient controlers to joints automatically by name while keeping a clean Outliner. Can also mirror (with automatic naming) and color depending on which side the controller is on. One more rename script for Maya, written in mel. The swiss army knife for Maya. Python scripts for quick rename objects in maya. 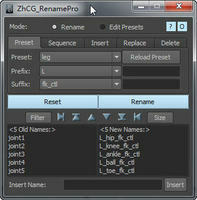 Quick and dirty way to remove all namespaces from your maya scene. 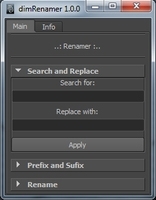 rename/replace names, add prefix, suffix, etc..